Almost all whitening methods are similar in concept, but some are much more effective because of the way the whitening material is delivered to the teeth. Another contributing factor is the concentration of the material, which is why less potent over-the-counter whitening systems usually don’t give patients the results they are hoping for. Teeth stains are inevitable due to our consumption of a variety of foods and drinks (soda, spicy food, coffee, etc.). However, advanced teeth whitening technology has enabled dentists to whiten teeth without adversely affecting the tooth structure. 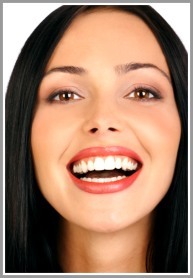 In tray whitening, an impression is taken and a custom tray is made for the patient. Then, a supply of whitening gel is given to the patient and he/she wears the tray for a few hours each day (techniques differ) for a period of time until an acceptable result is achieved. Sensitivity of the teeth is a normal side-effect of this whitening method and is almost always transitional.